Due to turnover of stock, these images are representative of the item being sold but not always the actual item. Chrome finish, mounted on Heuer single backplate. MOD issue. (call for details and prices of stock items). 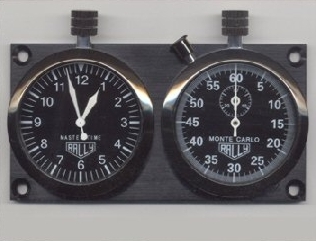 NEW RALLY - Rally timer pair. The closest you'll get to the real thing for a fraction of the money. 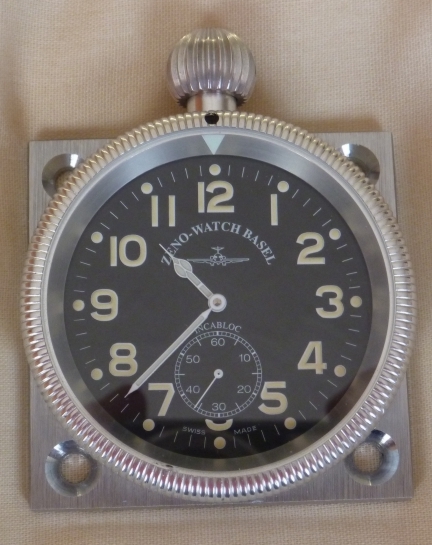 All metal construction, mechanical timers, comes in presentation case. 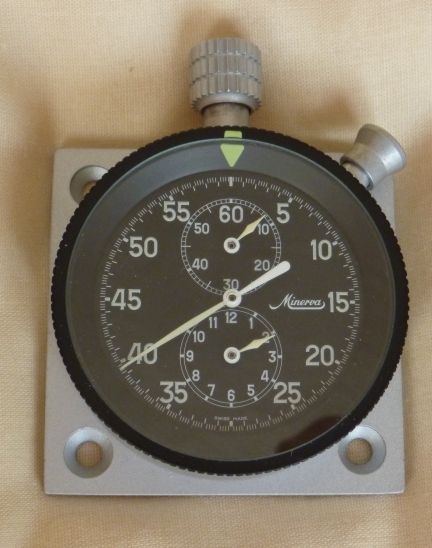 Smiths rallyclock (late 60's) with hack facility for setting accurate rally time, complete with lanyard. Like new old stock - pristine. 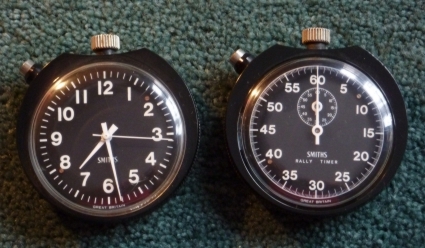 Smiths rally clock and rally timer stopwatch pair with hack facility for setting accurate rally time. A used pair in good working condition. Mounted on a machined black crackle coated alloy plate, drilled and tapped so no protruding screws and can be mounted on a flat panel. 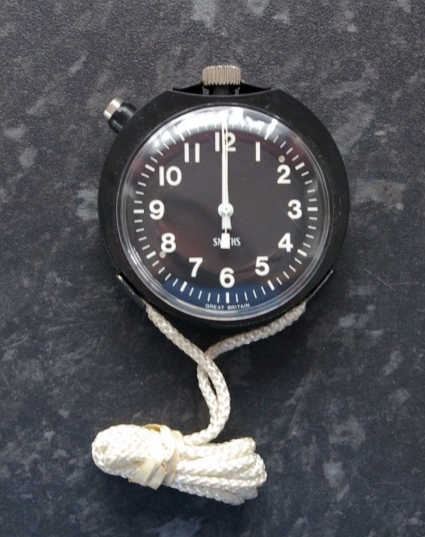 Smiths rally clock and rally timer stopwatch with hack facility for setting accurate rally time. A new old stock boxed pair with mounting brackets and lanyard. New old stock, in box and in perfect working order. Rotating bezel, looks to be the same movement as the Heuer Autavia. 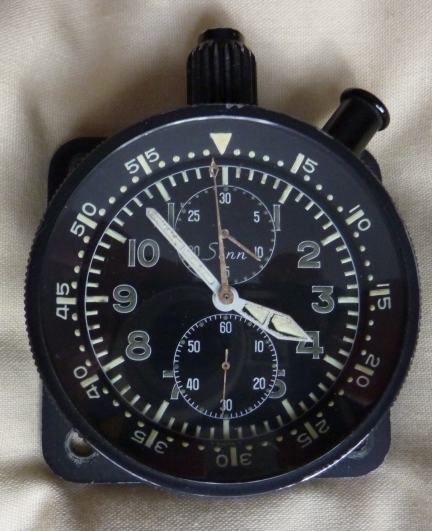 This is the Sinn version of Heuer Super Autavia and is just superb. Rotating bezel, centre button starts and stops stopwatch. Some clocks have 30 minute lower register. Russian 'MiG' aircraft clock with 12 hour trip and stopwatch function. 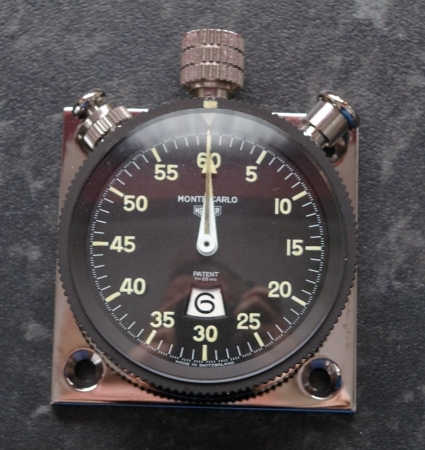 These clocks have been designed to withstand speeds of 1800 mph and altitudes of up to 100,000 feet while pulling 6G’s so are perfect for your historic rally car! All clocks have 'hack' facility. Rotating bezel, aluminum case and mounting plate. New with papers. 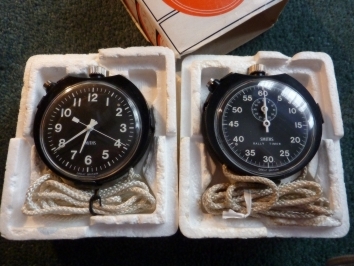 Pair of Herwins Swiss mechanical stopwatches. Mounted on alloy backplate with period stopwatch clips. Can be supplied on stainless steel backplate if preferred. Pair of Russian jewelled mechanical stopwatches. Mounted on alloy backplate with period stopwatch clips. Pair of Russian jewelled mechanical stopwatches. Mounted on s/s backplate with period stopwatch clips. Can be supplied on alloy backplate if preferred. Twin alloy (satin black) backplate for 2" stopwatches. Adjustable stopwatch clips on machined alloy plate, satin black finish. Engineered to be flush at rear to mount on flat panel. 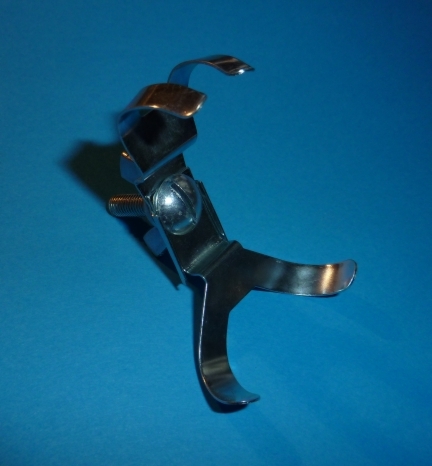 Includes four mounting screws washers and nuts. 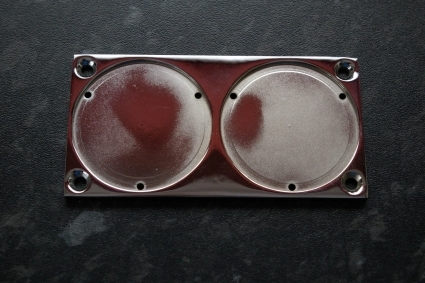 Twin stainless steel backplate for 2" stopwatches. Polished edges and brushed finish. 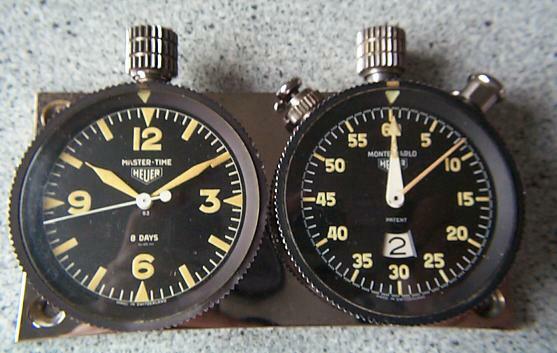 Twin backplate for Heuer Mastertime, Monte Carlo, Sebring etc. Heavy chrome plate on brass plate. Dimentions - 2.25" x 4.5"
Aircraft spec light alloy satin black plate and six timer mounting screws. Single backplate for Heuer Mastertime, Monte Carlo, Sebring etc. MoD satin black plate - original MoD part number engraved. Chrome plated genuine Heuer plate - Original finish, small grinding mark to front. Seen this on several plates, so must have a purpose. Aircraft application, no ideas of type but has a part number written on and stamped into plate - believe to be original military. One mounting bracket has spacer to double thickness. Includes three watch mounting screws. 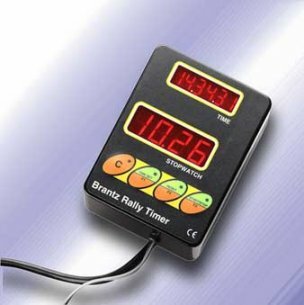 Brantz Rally clock Pro - LED digital clock and stopwatch.